How would you use Twitter in your classroom? Tags: classroom management, twitter, twitter in education, web 2.0 tools. Bookmark the permalink. Phenomenal post! Such a rich post, but particularly appreciated the part about teaching students to be succinct and the importance of headlining! Totally agree! Great job! Thanks, Jim. I appreciate your words. Jacqui, a fellow teacher and I want to try one of the strategies you mention here, but we have no idea where to start. We are following people on Twitter, but don’t even know how to create hash tags. 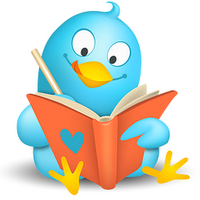 We are looking for resources to help us deepen our knowledge on how to use Twiiter in the classroom. Can you direct us to some resources. I want to use twitter in the classroom during lessons rather then just for homework updates. I like the idea of tweeting questions on the SmartBoard. I think I will try this out! I’d love to hear how it works out. If you have time drop a comment. Nowadays we have, at least, “public” and “private” school education as twin education forms. They serve different needs, are advantageous in their own ways, but both meet basic demands for education. Where public school education is welcome, it is likely that the city is less developed and the residents are poor or merely better-off. They expect the government to share their responsibility for their children’s education, and would judge its effectiveness by the degree to which this expectation is fulfilled. We are offering free study guides to students as well as free online tests. Please appreciate our hard work. I love hearing someone stick up for public education. I agree–they have a different mandate than private schools, with different expectations from parents and those who fund it. There’s a lot of good going on in public education, not to say change isn’t required. Then again, isn’t change always required? Unfortunately, I’m not convinced about substituting Twitter for other instructional strategies. I teach high school, and 99% of what the students post and read on Twitter is useless banter. Yes, it is great to teach kids to be succinct, but I’m concerned about the overall effect of embracing fragmented conversation via digital tools. I’ve experimented with Facebook, Twitter, and Wikis in the classroom and I’m not convinced they are good subsitutes for other forms of instruction. Check out my latest post at mindfulstream.wordpress.com. You are absolutely right, Paul: Don’t replace–enrich. They are a way to reach some of the students that traditional means can’t. They feel like play when students are actually learning something. The ‘something’ depends upon the lesson you choose. But–as you say–not instead of traditional time-proven methods. I’ve seen classes do that and too much is lost. Good article on your blog about the harmful repercussions of texting. I wonder if it’s possible to get the geni back in the bottle. Thank you so much, Gillian. Do you use Twitter in your school?